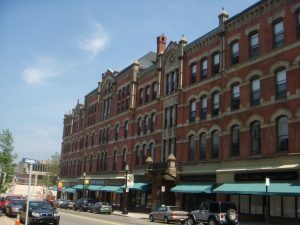 Fall River, Massachusetts is popularly known for being the home of Lizzie Borden and the site of her grizzly crime, but in recent years is also known for Fall River native Emeril Lagasse, the celebrity chef. Burns & Jain, with its convenient downtown Boston location, is easily accessible for Fall River residents who want a Boston attorney. We are proud to serve Fall River residents who are victims of personal injury, auto accidents, or who need a fresh start in personal bankruptcy. Fall River is in Bristol County. 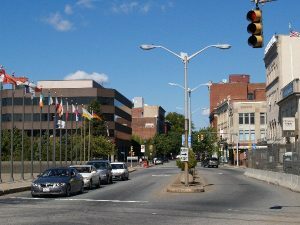 Formally a mill town, Fall River is the 10th largest city in Massachusetts and retains some notoriety for being the only city in the United States that has its city hall directly over a highway! Fall River has two lakes on the eastern part of the city which feed a river that flows through the city. The river “falls” in elevation throughout the city, which is how the city got its name. Those falls were covered by industrial buildings throughout the 19th century, however, throughout the 20th century many of the mills burned and the falls became exposed again. Unfortunately, in building interstate highway 195, the falls were buried underneath once again. Will You Fall River Case Go To Court? Without reviewing your individual case no attorney could know. However, if you retain experienced counsel from the outset, you have the best chance to get the best result. Must cases where the negligence of the other side is clear can be resolved with an aggressive advocate on your side. There are three Superior Courts in Bristol County, New Bedford, Taunton and Fall River. The Fall River Superior Court is located at 441 North Main Street. The Fall River District Court is located at 45 Rock Street, in Fall River. The Fall River Superior Court handles personal injury cases with an anticipated value of over $25,000. The Fall River District Court handles cases worth less than $25,000 for the following towns: Fall River, Freetown, Somerset, Swansea and Westport. Burns & Jain has successfully represented clients at the Fall River District Court and the Bristol Superior Courthouse sitting in Fall River. Many victims of legal malpractice choose our office because it is far away from the attorneys who know each other in Bristol County. We offer free file review, free hospital visits, and free consultations; call our office at 617-227-7423 for a free consultation. Our office at Six Beacon Street in Boston is located across the street from the John Adams Courthouse and only blocks away from the United States Bankruptcy Court. Although parking is available near our office, we encourage clients to use public transportation if at all possible. Metered parking can be found on Beacon Street, close to the State House. There is handicapped parking in front of our office on Beacon Street. There are multiple parking garages near our office building. Driving directions to our office from Fall River are as follows: take Route 24 north until you get to I-93 and take Exit 23 toward Government Center. Continue straight onto North Street, then turn left onto Congress Street. Turn right at State Street and then turn left onto Tremont Street. Turn right onto Beacon Street just past Center Plaza.